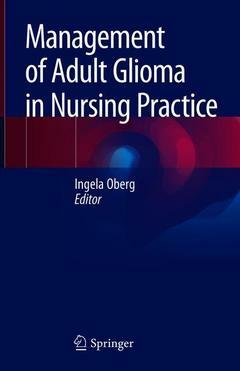 This contributed book focuses on the nursing care and considerations for the most common type of malignant brain tumours ? gliomas, out of the 150 different types of brain tumours . The reader will gain specialist knowledge in understanding the disease trajectory of malignant gliomas and gain a deeper understanding of the presenting symptoms and varying treatment options of this highly malignant tumour. High grade malignant gliomas impact significantly on prognosis, with an average life expectancy of 18-24 months from diagnosis, given maximum treatment options including surgery, chemotherapy and radiotherapy. This book takes you through all current treatment options with their associated risks and intended benefits. Brain tumours affect not just the patient, but their family and carers too and this important aspect of holistic nursing care is not to be overlooked. This book encompasses first hand experiences of both a brain tumour patient living with a glioma and aspects from a carer. The structure of this book follows a typical patient pathway from presenting signs / symptoms through to MDT (multidisciplinary team) discussions to surgical techniques and radiological investigations, right through to chemotherapy, radiotherapy and palliative care including end of life care. It provides a distinct overview of the holistic needs spectrum encompassing the entire patient journey and equips the reader with learning objectives set at every chapter. Although this book is primarily aimed at Nurses working at ward level within neuro-oncology, this book is also intended to benefit professionals new to the field of specialist nursing ? in particular those working with adult brain tumours and neuro-oncology. Originally from Sweden, Ingela Oberg graduated from Stockholm University of Health and Social Science with a Bachelor’s degree in Nursing in 1997. She subsequently moved to the UK on completion of her nursing degree, where she continues to reside with her partner and their twin boys. She began her career at Addenbrooke’s Hospital, Neuro Critical Care Unit (NCCU), looking after neuro-traumas and complex neurosurgical patients. This prompted her interest in the care of the neurologically compromised patient, something which has remained during her 20-year career. In 2008 she gained a Master’s degree and is a qualified NMC (Nursing and Midwifery Council) practice educator. Ingela continues to work tirelessly to improve patient care and standards of care for brain tumour patients, both within the UK and internationally, and has been lead nurse for EANO (European Association of Neuro Oncology). She has worked with several national bodies and charities to improve standards of care and help raise awareness of brain tumour patients. She has contributed to neuro-oncology nursing research, journal publications and has organised international nursing conferences. Ingela also has a special interest in continuing educational needs and development for specialist nurses.